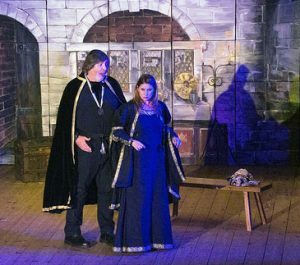 Richmond Opera, based in West London, presents one fully-staged opera and one major concert a year, along with a variety of smaller informal events including members’ concerts and one-off performances. We are an inclusive community group which welcomes amateurs and aspiring professionals. We are led by professionals and our members include singers, dancers and orchestral players as well as those involved in back-stage production. We aim for the highest musical and performance standards, holding internal and external auditions for key solo roles although, whenever possible, we cast existing members in solo roles. Anyone is welcome to join the chorus and also be considered for solo roles. Our Musical Director is Lindsay Bramley, a professional conductor and opera singer. Richmond Opera return to Normansfield Theatre with this story of genius, obsession, royalty and rivalries resulting in some of this country’s most enduring and best loved musical masterpieces.